Your 2014 Mass Gaining Protocol! For many of you, it’s time to get started on your New Year’s resolution. And it could be that—for some of you, at least—your resolution is a simple one: to get as big and strong as possible in the shortest amount of time. If that’s the case, then this article is written solely for you. In years past, there was one routine, and one routine only, that was seen as the holy grail of mass-building protocols: the 20-rep squat program. I first read about this program more than 20 years ago in the pages of Iron Man magazine, and then in the pages of Randall Strossen’s book “Super Squats”, which I devoured in one sitting upon receiving it in the mail. 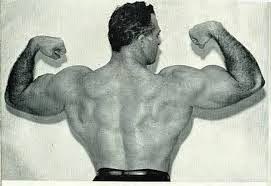 But the nucleus of the program goes back almost 80 years ago, to the 1930s, when Mark Berry became the editor of Alan Calvert’s Strength magazine, and began to tout heavy, high-rep squats in the pages of the magazine. Berry was a lifter himself and the coach of the American Weighlifting team. He didn’t need much proof that heavy, flat-footed squats built serious amounts of muscle. 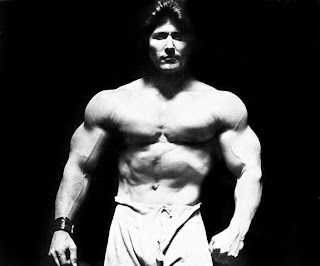 He trained with Henry Steinborn and Sig Klein, both massive strength athletes who attributed much of their gains to the heavy barbell squat. But the proof also stared him directly in the mirror, for he had added over 50 pounds of bodyweight to his own frame, which was not a large frame by any standards. Before we go any further, let me say this for any of you who may be doubting the efficacy of heavy and hard squatting: If you are not squatting, you might as well not even train. The squat is just that good of an exercise. So just imagine what can happen to your physique when you train the squat hard? Here are a couple of programs that will get you gaining like never before if you have yet to attempt such training. The first program is what I would call the “traditional” version of the 20-rep squat program. The second program is my own, more modern twist on the original. You perform this program 3 days per week. At each session, you will do one—and only one—work set of squats for 20 reps. (You will then do a few exercises for your shoulders, chest, back, and arms.) And at each session, you will attempt to add 5 pounds to your 20-rep max. It will not be easy, but this program should only be done for 6 weeks, and then you’ll move on to my “modern” version of the program. “How much weight should I use?” the kid asked. “No way,” McCallum said. “Each rep from ten on should feel like the end. But you use your mind. You grit your teeth and blank out everything else, and you take the reps one by one, until you’ve done all twenty. Work the other exercises hard, but there should always be something in the tank after each set. After 6 weeks of the above routine, it’s time for a change of pace. Once again, you’re going to do 20 reps of squats, but instead of doing 1 set of 20 reps, you’re going to do 10 sets of 2 reps, albeit you’re going to do all 10 sets as fast as you reasonably can. Also, in between each session of squats, in the middle of the week, you’re going to do a 20-rep deadlift workout. What I like with this more updated version is that you’re able to train very heavy while still getting a lot of work in. For instance, at the end of the 6 weeks of the traditional workout, if you’re squatting around 300 pounds for 1 set of 20 reps, you should be able to do around 400 pounds for your 10 sets of 2 reps. Just make sure you move quickly between each set. In fact, it helps if you have a workout partner. As soon as one person does his set, the next person goes, and so on and so forth. Remember that as good as these programs are, they don’t work without plenty of rest and plenty of calories. Drink a gallon a milk a day if you’re incredibly skinny. Do that for 12 weeks along with 12 weeks of these workouts and not gaining will be a thing of the past. I must be quite clear on this point: I do not make New Year’s resolutions, and am – on the whole – rather opposed to the entire enterprise. If I want to do something, then I just do it, by God! I don’t need some “resolution” to steel my resolve. That being said, I also realize that for some people it’s that time of year when they “buckle down” and train their asses off. So, if you think of it as your “bus bench” time of year – to use Dan John’s assessment of how you should train and eat at least a couple times each year – then I also think there can be some merit to it. I say “flat-footed” because, before the 1930s, the most common way for lifters to squat was on their toes. The formula exactly was it was written by Stuart McRobert in the October, ’92 issue of Iron Man. “Squats: The Mass Miracle Worker” by Stuart McRobert, October, ’92 issue of Iron Man. What percentage of 1 rep max do you suggest for the 2 rep sets for deads and squats. What are your thoughts on the 20 rep set for deadlift like stuart mcrobert promotes. How I program for the 20 rep dead lift mcrobert style? I wouldn't focus on using an exact % on the 2-rep sets. Instead, pick a weight where you would have a VERY hard—to impossible—time reaching 4 reps. I don't think the 20 reps are quite as effective with deadlifts, but I can see some instances—such as the lifter's body frame—where they might actually be preferred over the squats. But, for most people, the squat should be the exercise of choice. As for programming the 20-rep deadlifts, perform them just as you would the squats. Thanks. What is a good program after reaching max strength on newbie 3x5 type program. Ive really pushed it hard tried short rest long rest no more strength gains. I have below average genes for building muscle, large gap at bicep near elbow etc., was always good at endurance sports. Goal now of adding size. My body strongly prefers deadlifting to squating. I thought some very high rep deadlifts squats would be a nice change from gringing low reps as well as quite a shock to the system which hopefully yields results.